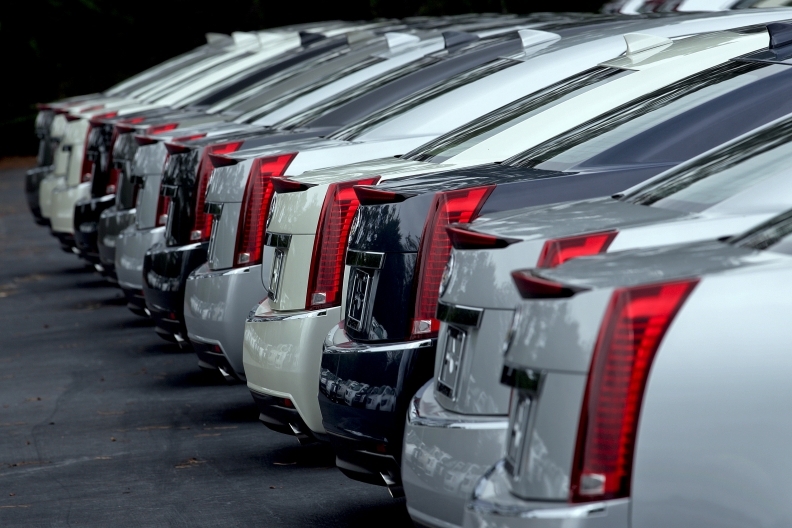 Cadillac sales rose 21 percent last month. LAS VEGAS -- A painfully slow recovery in U.S. auto sales will likely continue next year, but beyond that, annual sales will get back to the range of around 15 million units “sooner rather than later,” a Federal Reserve economist says. “I just don't think consumers are going to want to live with older vehicles,” said William Strauss, senior economist for the Federal Reserve Bank of Chicago, in a presentation here Tuesday at the 2010 Auto Finance Summit hosted by the Royal Media Group. “I think there's pent-up demand,” he said. Straus cited an average forecast for “blue chip” analysts of 11.4 million light vehicles for 2010. He said forecasters expect 2011 U.S. light-vehicle sales of around 12.6 million. U.S. light-vehicle sales fell about 18 percent in 2008, from 16.2 million in 2007 to 13.2 million. Last year sales fell 21 percent to 10.4 million. Strauss said that in 2009, automakers cut North American production by 34 percent. That was much more than the drop in sales. Strauss said several economic indicators, especially housing and jobs, will continue to put a damper on consumer confidence and the U.S. economy. He said employment has recovered slightly this year, but not even fast enough to keep up with population growth.